Dying wasn't on seventeen-year-old Xander Hemlock's summer to-do-list. Finding ways to spend more time with his girlfriend, Lila, was the most critical thinking he planned on doing. But that was before he found himself trapped in a realm of only darkness with thirty days to convince Lila he's not actually dead--well, not completely, anyway. As Xan tries to show Lila she isn't alone, she struggles to comprehend how her life has changed so completely. Six months ago her life was perfect: she was on her way to becoming a professional dancer, her parents were still married, and her boyfriend was alive. But now, with her anorexic tendencies stronger than ever, she must decide which is the lesser of two evils: letting go to be with a boy she doesn't love, or holding on to the unreasonable, yet overpowering, feeling that Xan is still within reach...and trying to show her something. 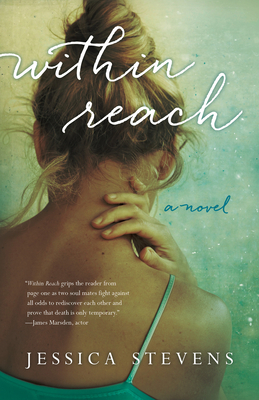 Improbable and endearing, Within Reach is a story of two soulmates discovering that sometimes it takes more than one lifetime to get it right.